Every March, Americans honor the contributions of both notable and ordinary women by celebrating Women’s History Month. Two pioneering women within the accounting profession were Christine Ross and Mary T. Washington. In 1899, Ross became the first female CPA in the U.S. Nearly 50 years later, Mary T. Washington became the first black woman CPA in the U.S. Since then, an increasing number of women have entered the profession, and today, half of all undergraduate and graduate accounting students are women. 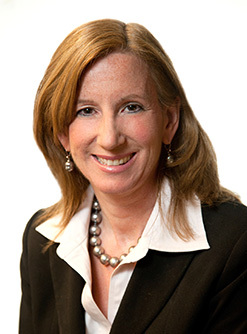 Now in 2015, there is a new reason to celebrate—on March 11, Cathy Engelbert, CPA, took the helm as CEO of Deloitte LLP, making her the first female CEO of a Big Four firm in the U.S.
Engelbert has been with the firm since 1986, is a member of the AICPA and also sits on FASB’s Financial Accounting Standards Advisory Council. As CEO, one of her priorities is to help ensure talented young people stay committed to the profession—and she has stated that she believes this is also our biggest challenge. “I think we have a very unique opportunity in this profession right now to show people the value they bring and that they can be along for this journey while we all innovate,” said Engelbert in an interview. To reduce the potential for attrition, she has stated that it is important for senior CPAs to serve as mentors and role models. This support assists young CPAs in reaching their career goals, and makes them feel more valued along the way. This can sometimes be challenging because the millennial talent pool is so diverse. Regarding her own success,Engelbert credits mentors and sponsors at her firm for providing her with diverse experiences and responsibilities that not only helped prepare her for the CEO role, but also gave her needed support all along the way. For instance, when she was pregnant with her first child, she considered leaving Deloitte. She was up for partner at the firm at the time, but questioned whether she could simultaneously be a mother, wife and strong leader. With the encouragement and backing of her firm’s leadership, she stayed—and made partner soon afterward. To help organizations create and maintain the type of inclusive environment that Engelbert had, which allowed her the flexibility to advance her career and life as a mother and wife, the AICPA has developed the Recruitment and Retention Toolkit. The toolkit offers information and advice to human resources leaders, practice leaders and others tasked with attracting, recruiting and retaining a diverse workforce. It offers specific steps firms can take to help make diversity and inclusion initiatives an ongoing part of their firm’s culture. Additionally, candidate attraction, recruitment and ultimately employee retention go hand-in-hand; however, the toolkit can be used in whole or in part to help firms focus on high priority areas. The toolkit also includes an action plan template, which provides examples to assist firms in implementing changes. The Recruitment and Retention Toolkit is available online for free. Firms will gain even more value from this resource by using it in conjunction with the AICPA Accounting Inclusion Maturity Model, which is an online assessment that can help them evaluate their current diversity and inclusion efforts.